Become a Member of the US Farm Stay Association! Get Listed on Farm Stay USA. Sign Up Below. Looking for an alternative way to bring in extra revenue to your farming or ranch operation? How about offering a farm stay – where working farms and ranches provide lodging to urban travelers looking for a country experience? It’s a win-win for both parties: the farm diversifies its product offering, thus reducing risk and brings in additional revenue; the traveler has a unique lodging experience. Heck, we’re on the farm anyway. Why not convert the old hen house to a cute little cottage? Or, put up a yurt in the woods? Or, level some land down by the creek for camping? Sounds like an easy way to make some extra money and cover this year’s losses on the lambs. Or is it? 1. How comfortable are you talking with people you don’t know? Can you share your experience of what it’s like to be a farmer? 2. Can you see yourself as a host, an educator, a tour guide, a reservation clerk, a cook, and a maid? If not, do you know someone who can do some or all of these things for you? 3. Do you know how your land is zoned and whether you are allowed to build a cabin or add camping to your property? Have you spoken yet with your county planning department? 4. Do you have the necessary cash to invest in a remodel or a building or land grading, as well as all the furniture and amenities necessary to host guests overnight? If not, can you raise the cash? 5. Do you have an idea of how many nights you will need to be booked, and at what room rate, to break even on your investment and ultimately to make a profit? 6. Have you researched the local competition: what they charge, what they offer, how often they are booked? 7. Have you thought about your legal structure and what you might need to know about insurance necessary to cover your family, your business, and your guests? 8. Even if you don’t have a website of your own, do you understand how the Internet works and how to use it as a tool for marketing? 9. Do you have any training in the hospitality industry in term of customer service and delivery of experience? If not, have you traveled enough to understand what is and is not acceptable for travelers? 10. Finally, and most importantly, have you included your spouse or partner, and family members still living on the farm, in this discussion? Is there a clear understanding of the commitment this will take in terms of time, energy…and your relationship(s)? If you can answer the above questions with a resounding “Yes!” then proceed cautiously, but consider seriously the added benefit of hosting guests on your farm or ranch. Not only will you diversify your farm income, you will be providing a retreat for some and an education for others, but always a re-connection with the land and the story of our fore-fathers. Look through the Accreditation Standards of the U.S. Farm Stay Association to understand the requirements for a real U.S. farm stay, then join us! We are happy to help get you started with best practices and resources. Already running a farm or ranch stay and interested in becoming a member of Farm Stay USA? Our website and listings are viewed by over 100,000 potential guests every year looking for the right farm or ranch stay experience for them or their family. Learn more about pricing and how to become a member. What kind of accommodations are expected for a farm stay? You can offer anything from camping to a 5-star guest house. What suits your farm? What will your customer expect for the price you charge? Are you shooting for rustic, glamping, cozy, high-end? Your guests will self-select by what you offer. Nonetheless, whatever you offer, it needs to be clean and safe! What do guests expect from a farm or ranch vacation? This varies with why they wish to stay with you. Guests with children often hope to watch or partake in chores. Couples often forego the chores for a relaxed afternoon on the deck with a good book and a glass of wine. Are they there for the cattle drive? Are they there to decide whether this is the lifestyle for them? Are they there to re-connect with their family in a true vacation style? It could be any or all of these and they will probably tell you! If not, ask…so expectations are met. Where can I find a farm stay mentor to help answer my questions? We would suggest you look for a farm or ranch already running a successful business in your state and ask for some help. We may also be able to steer you towards a mentor farm with the time and energy to provide advice. We ourselves are experienced farm stay operators and are more than happy to answer your questions if we can. 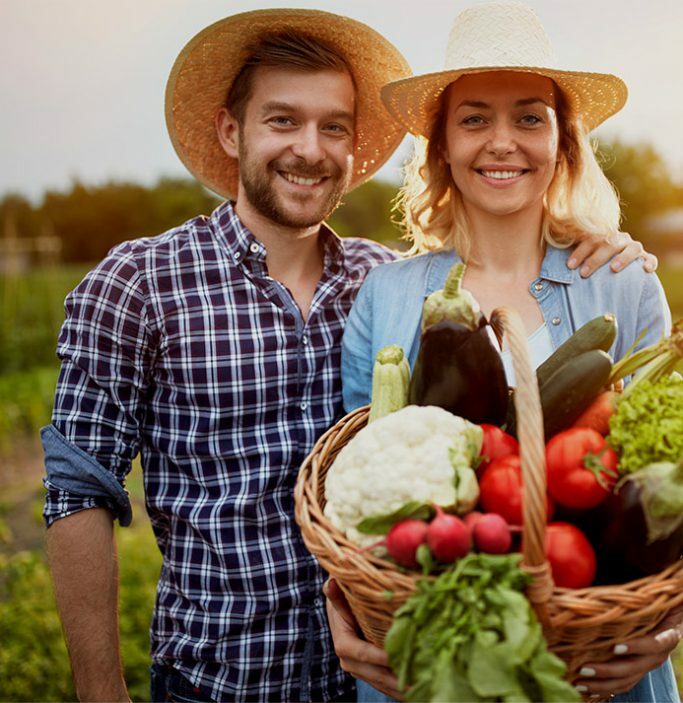 In addition to the great property listing benefits of being a Farm Stay USA member, our organization provides members with resources that help them to build and sustain a successful farm stay business. Are you a farmer thinking about starting a farm stay? Check out our guide to Starting a Farm Stay. Additionally, As we find out about funding programs, both private and public, that can assist our farmers and ranchers, we will publish them here. This list may be fluid as money comes and goes from these sources. Check out this Guide to USDA Loans. Farm Stay U.S. does not promote any specific programs and simply provides this information to its farmers and ranchers as a service. It is the responsibility of the individual contacting these agencies to make sure any loans or grants offered are fully understood before entering into an agreement. Additionally, we are always looking for and creating exclusive resource materials for our Farm Stay USA members that can help them to run better, safer, more productive farm stay businesses. Many of these resources are only available to members. Already a member? check out the resources available to you below.